← Allison struts her stuff! I returned late Sunday night from my first Southern Comfort Conference (SCC) after driving over 600 miles from Atlanta, GA, to Washington, DC. My mind is still whirling from four days of total immersion in the trans* community. Beth dresses in a black top and skirt, black wedge sandals, silver jewelry, and Mulberry Forest Glossy Lip Stain to head down for her first night of networking at SCC. I arrived late Wednesday night to a bustling patio filled with trans-women. My minivan was packed full of Riedel wine glasses, wine, Mary Kay demos and products, Ardyss corsets and shapewear, and one small suitcase of my clothes. After three bell hop carts delivered my wares, I changed and went downstairs to mingle with the ladies, including several I’ve met before in the DC area. I went to bed early by SCC standards between 1 and 2 a.m.
On Thursday, I was completely consumed by preparing for and running my wine education seminar and wine tasting social. Twenty guests attended my wine education seminar and gave me excellent feedback on the information I presented, my presentation style, and personal appearance. Yes, I love getting compliments and trans-women never cease to compliment my appearance! 🙂 We tasted three United States wines during the seminar and used a simplified Court of Master Sommeliers tasting grid to analyze the wines together. The guests enjoyed this so much that one girl even asked for permission to take a photo of my slide! After my seminar, I had to hurry to set up for the wine tasting social in the bistro area. The hotel graciously provided tables, ice and ice buckets, and standing cocktail tables while SCC volunteers helped me move 15 dozen wine glasses and three cases of wine from my room to the bistro area. My friend Laura and SCC volunteers helped me with many set-up and logistics details. We tasted six wines from the lands of the Romance languages (Spain, France, Italy, Chile, Argentina, Portugal). I’ll post more details of the wine tasting on my zindiva.com website soon. Guests had a great time and many thanked me as they left. 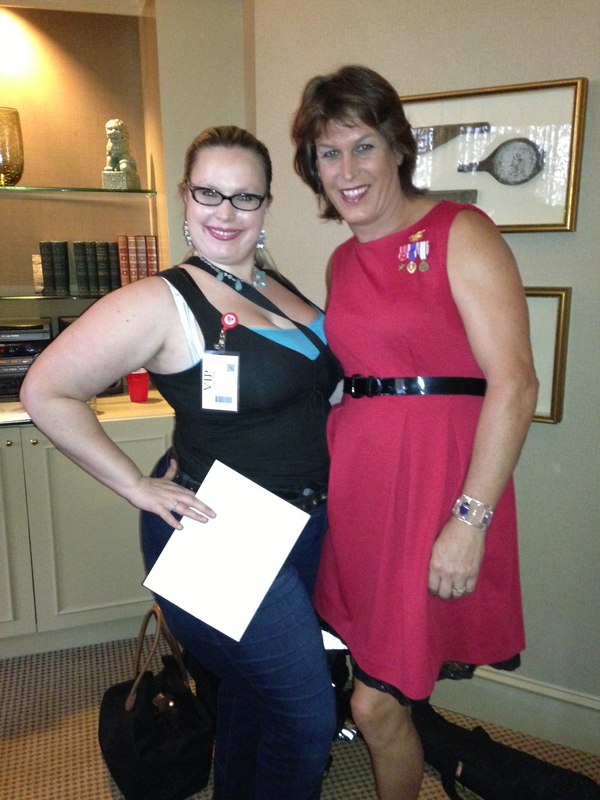 After tear down, I was exhausted and went back to my room and fell asleep by 11 p.m.
Beth and Kristin Beck both attended the trans-vets reception on Friday. Kristin recently published the book “Warrior Princess” that described her time on Seal Team 6 and life as a transgender woman. On Friday, I slept through the seminar I planned to attend on trans-veterans but did make it to lunch, Kristin Beck‘s talk, the trans-veteran’s reception, cocktail hour, dinner, and the Jungle. I met some awesome people at the trans-veteran’s reception including veterans from the Korean and Vietnam eras up to the present and all branches of service. 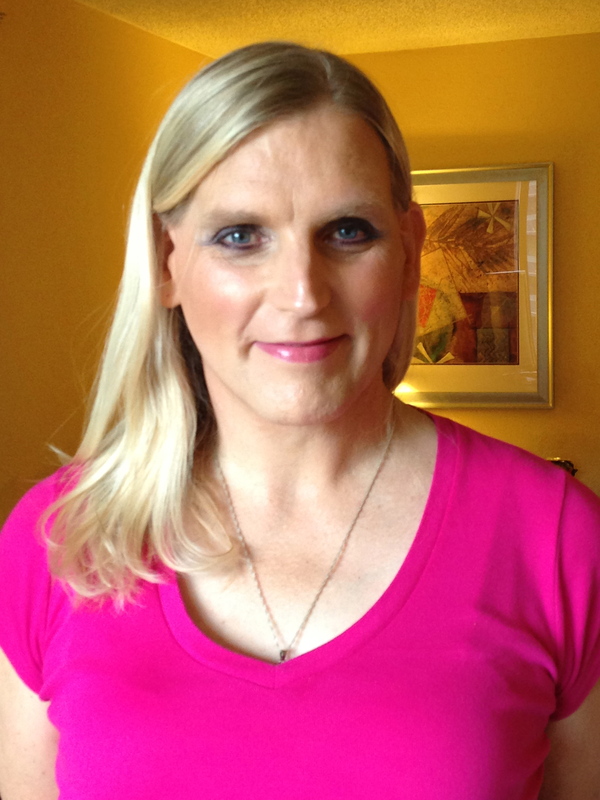 I really hit it off with Christine, who is also a Mary Kay consultant who works primarily with trans-women but also has some genetic girl (GG) clients. She also took photos of the conference and I loved posing at her portable studio on Saturday night. At dinner, I sat with a couple of cute girls, Markee and Raven, who had attended my wine tasting. 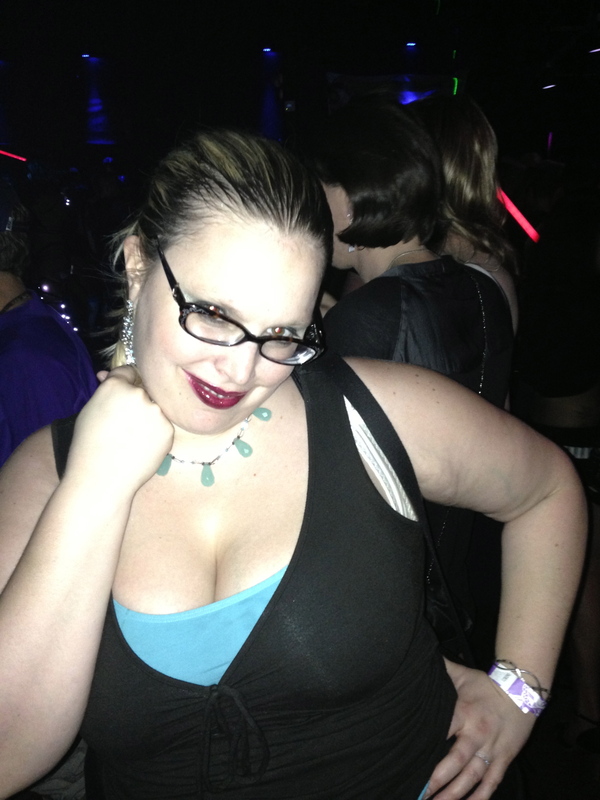 Beth had a blast dancing and flirting with trans-women at Jungle, the largest LGBT club in Atlanta. Later that evening, I headed with the SCC ladies via shuttle bus to the Jungle, the largest LGBT club in Atlanta, though about half the size of Town Danceboutique in DC. I had a blast at Jungle, the best night out at a club for me in quite some time. 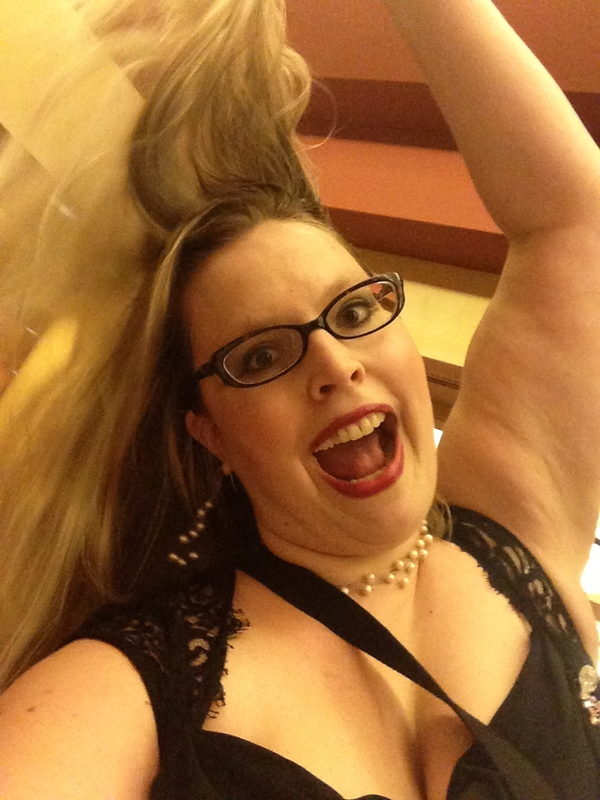 I loved dancing and flirting with the trans-ladies and before I knew it, it was 3 a.m. and time to take the last shuttle back to the hotel. Did I do the smart thing and go to bed? Of course not–it’s SCC! I had a few girls up for some wine and hanging out and stayed up til 6 a.m.! On Saturday, I slept through the SCC lunch and ate at Maggiano’s across the street. Laura looks fabulous with her Mary Kay makeover. Despite her hard work on video production and lighting, her makeup stayed put all night! Then I had a Mary Kay makeup makeover for my friend, Laura, who wanted a simple yet elegant look for the ball. After applying skin care and liquid foundation, I set to work on the fun part–color! Her soft blue eyes invited me to use beautiful golds, browns, and coppers (Honey Spice, Gold Coast, Amber Blaze, Copper Glow) for eyeshadows along with black eyeliner, lash primer, and Lash Love Lash-Lengthening Black Mascara. We created light pink cheeks (Shy Blush) and subtle contouring (Bronzer and Highlight Powder). We finished off her look with the Enchanted Mauve Glossy Lip Stain and the Finishing Spray. I love the limited edition Glossy Lip Stains! The stain stays all night long and into the next day unless removed with eye makeup remover! Beth gets ready for the ball and the last night of SCC. After that, I took a nap, applied my Fantasy and Fairytales makeup, then went to dinner, danced, and socialized. 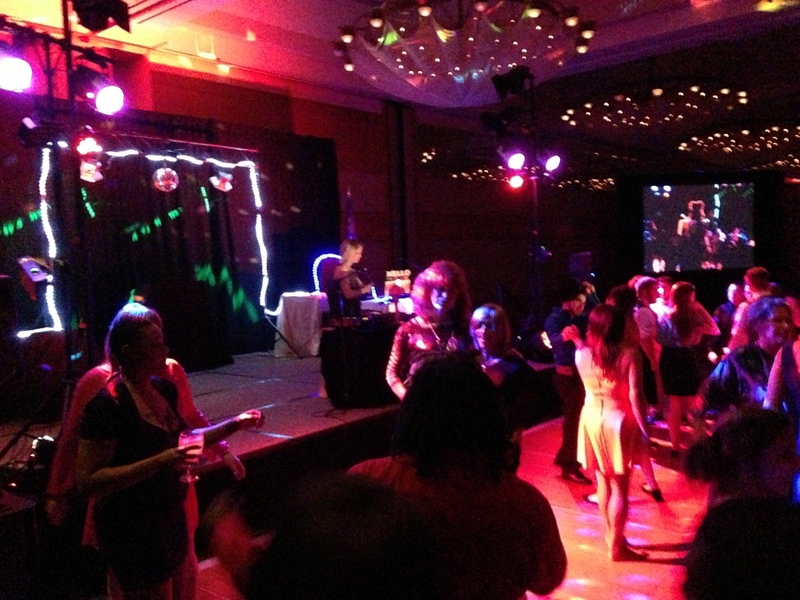 As the final official SCC event, the dance and bar areas drew lots of trans* people. With it being the last night of SCC, I made sure to talk to lots of girls and dance with a few too. It’s time to get silly! Beth helps Tiffany, a first-timer, smile for photos by being her silly self. Then I invited a couple girls up to my room for some wine and I stayed up til 4 a.m. chatting. Yikes–this SCC schedule is nuts! Sarissa loved her new look and how easy it is to apply. Sunday morning, Sarissa invited me to join her for breakfast and then she came up to my room for a makeup makeover before my late checkout. She loved her look and the tips she picked up. 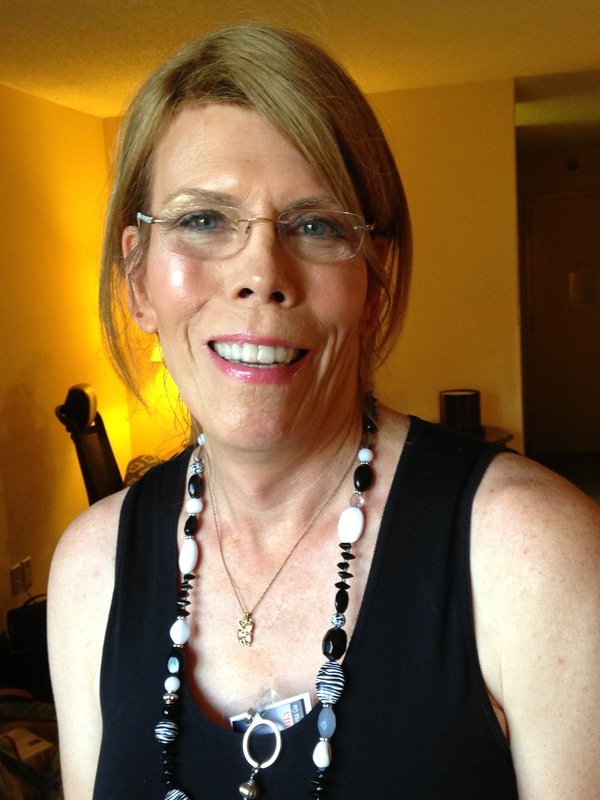 I finally got on the road to leave SCC close to 3 p.m. Sunday when there were very few trans* people still at the hotel. I felt like I was leaving almost a ghost town compared to the bustling venue that greeted me when I arrived.